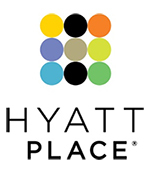 CHICAGO--(BUSINESS WIRE)--Aug. 18, 2014-- Hyatt Hotels Corporation (NYSE: H) today celebrates more than 200 open Hyatt Place locations across nine countries by kicking off digital promotions that invite guests to share their Hyatt Place experiences over a period of 200 hours. The celebration comes at a time of strong momentum for the brand, with more than 100 executed contracts for Hyatt Place hotels around the world across 21 countries, 15 of which are in new markets for the brand. For 200 hours from August 18 through August 26, 2014, travelers will be encouraged to share photos that capture their Hyatt Place experiences via Instagram, Twitter and Foursquare/Swarm using #HyattPlace and #HPEntry. The photos will be aggregated on the brand’s digital See It Share It platform, and participants will have an opportunity to win one of 200 free night stays. The Hyatt Place brand’s growth and momentum is a testament to owners, developers, guests, and colleagues that continue to bring the brand to life and strengthen representation in the United States and around the world. With more than 200 Hyatt Place locations open in nine countries, the future is exciting as the brand’s base of executed contracts represents over 50 percent growth in the number of Hyatt Place hotels. 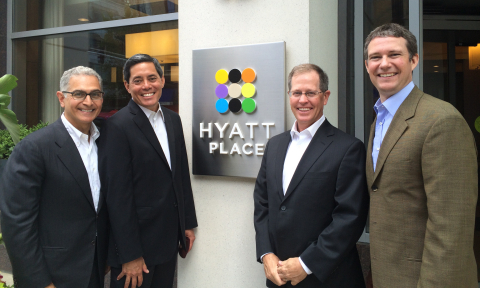 Across the United States and Canada, there are more than 45 executed contracts for Hyatt Place hotels. Guests have historically seen Hyatt Place hotels in suburban and airport locations, and now, growth also includes urban locations, with recent openings in Midtown Manhattan, downtown Austin, downtown Charlotte, downtown Nashville, downtown Minneapolis, Chicago’s River North and Hyde Park neighborhoods, and Washington D.C. Executed contracts for additional urban Hyatt Place locations include New York City, Chicago, Houston, Denver, and Washington, D.C., as well as new markets for the brand in downtown locations, including Asheville, N.C. and Edmonton, Canada. Hyatt Place hotels continue to perform well in college towns, with the brand’s 24/7 amenities and services at guests’ fingertips. College campuses nearby open Hyatt Place locations include: Ohio State University, University of Wisconsin-Madison, University of California Davis, University of Chicago, and Indiana University. Future plans include executed contracts for Hyatt Place locations near Western Kentucky University, Michigan State University, University of Georgia, and University of South Carolina. Additionally, Hyatt Place hotels are well suited for mixed use developments, and current projects include Hyatt Place Baltimore/Inner Harbor, Hyatt Place Charleston/Historic District, and Hyatt Place Boulder. The first Hyatt Place hotel outside the United States debuted in Central America with the 2012 opening of Hyatt Place San Jose/Pinares in Costa Rica. The Hyatt Place brand has since grown in the Caribbean and Latin America with locations in Bayamón and Manatí, Puerto Rico; La Paz, Mexico; and Santiago, Chile. Expansion continues in the region with 11 executed contracts for Hyatt Place hotels in locations such as São José de Rio Preto , Brazil; Bogota, Colombia; San Salvador, El Salvador; Guatemala City, Guatemala; San Pedro Sula and Tegucigalpa, Honduras; Ciudad del Carmen and Tijuana, Mexico; Managua, Nicaragua; and Costa del Este and Panama City, Panama. There are currently two open Hyatt Place hotels in Europe – Hyatt Place Amsterdam Airport and Hyatt Place Yerevan, Armenia. There are four executed contracts for additional Hyatt Place hotels in London; Jermuk, Armenia; Zurich, Switzerland; and Taghazout, Morocco. The Hyatt Place brand was introduced to India in 2013 with the opening of Hyatt Place Hampi, and then introduced to the United Arab Emirates in May 2014 with the opening of Hyatt Place Dubai/Al Rigga. Today, there are more than 20 executed contracts for Hyatt Place hotels throughout the Middle East and Southwest Asia in locations such as Pune, Gurgaon, Hyderabad, Goa, New Delhi, and Bangalore, India; Riyadh, Jeddah and Makkah, Saudi Arabia; and Dubai, United Arab Emirates. The opening of Hyatt Place Shenzhen Dongmen marked the first Hyatt Place hotel in China. There are more than 15 executed contracts for Hyatt Place hotels throughout Asia in locations including: Shenzhen, Shanghai, Wuxi, Tianjin, and Beijing, China; Seoul, South Korea; and Bangkok, Thailand. Hyatt Hotels Corporation, headquartered in Chicago, is a leading global hospitality company with a proud heritage of making guests feel more than welcome. Thousands of members of the Hyatt family strive to make a difference in the lives of the guests they encounter every day by providing authentic hospitality. The Company's subsidiaries manage, franchise, own and develop hotels and resorts under theHyatt®, Park Hyatt®, Andaz®, Grand Hyatt®, Hyatt Regency®, Hyatt Place®, Hyatt House®, Hyatt Zilara™ and Hyatt Ziva ™ brand names and have locations on six continents. Hyatt Residential Group, Inc., a Hyatt Hotels Corporation subsidiary, develops, operates, markets or licenses Hyatt Residences® and Hyatt Residence Club®. As of June 30, 2014, the Company's worldwide portfolio consisted of 563 properties in 48 countries. For more information, please visit www.hyatt.com. NO PURCH. NEC. TO ENTER/WIN. A PURCH. WILL NOT INCREASE YOUR CHANCES OF WINNING. Open to legal residents of 1 of the 50 US, DC or PR who are 21+. Internet access & at least 1 Instagram, Twitter, or Foursquare acct. req’d. Void where prohib. Begins 12 PM CT on 8/18/14. Ends 7:59:59 PM CT on 8/26/14. Consists of 9 separate contests, which each run from 12:00:00pm each day until 11:59:59am the following day with 24 winners per contest, except that the last one runs only until the end time and will have 8 winners. SUBJECT TO FULL OFFICIAL RULES available at hyattplace.com/shareit. Must check-in at a US Hyatt Place location & post check-in to Twitter to enter w/ Foursquare. Entry photo should emphasize the Hyatt Place brand; may be done by including the HYATT PLACE trademark, capturing distinctive Hyatt Place features, or taking photo in identifiable location w/in a Hyatt Place hotel. Winners will be determined based on following criteria/weights: creativity of photo (50%) & extent to which photo captures Hyatt Place brand (50%). Limit 1 use of same photo per contest. ARV of the night’s stay prize: $200; total ARV of all prizes in the promotion: $40,000. Sponsor: Hyatt Corporation, 71 S Wacker Dr., Chicago, IL 60606. This promotion is in no way sponsored, endorsed, or administered by, or associated with Instagram, LLC, Twitter, Inc., or Foursquare Labs, Inc.